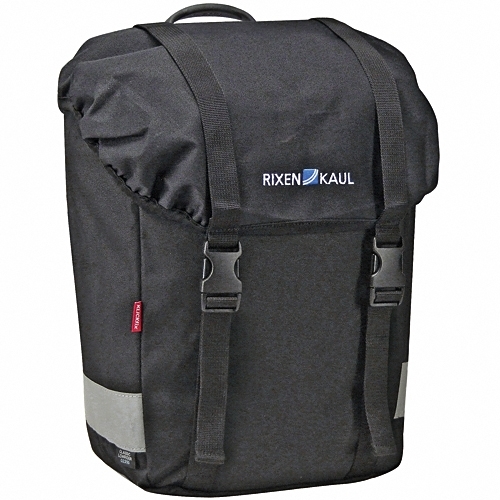 Product information "Rixen & Kaul KLICKfix Classic Lowrider Bag"
Same features as the 'Classic' panniers but smaller and without additional outer compartment. Inner lid compartment with zipper and little extra pouch for raincover. The symmetrical shape allows you to use the bag both on the right and left side. Includes Universal rail with adjustable hook position for standard carriers Ø 8/10/12mm. Available only in pairs. Related links to "Rixen & Kaul KLICKfix Classic Lowrider Bag"
Customer evaluation for "Rixen & Kaul KLICKfix Classic Lowrider Bag"